Is it Safe to Use a Hot Tub if...? The Spa & Sauna Co answers. 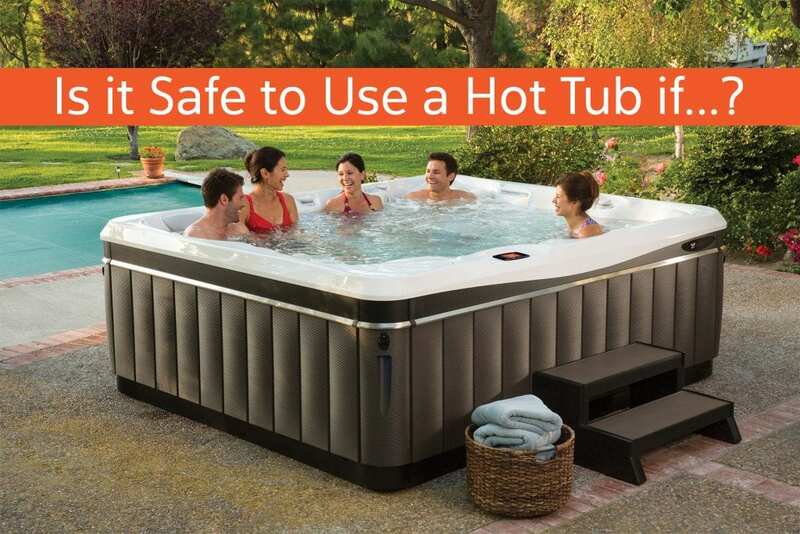 We know you have a lot of questions about Hot Tub Safety and rightly so. Used correctly, a hot tub can be a wonderful family experience. They have been proven to actually improve health for most people. We hope to address some of the most common concerns and put your mind at ease. Hot Tubbing should be an enjoyable experience, not one riddled with unanswered questions. It depends. In general, you don’t want to spend more than 10 minutes in a hot tub while pregnant, especially in the earliest months of pregnancy. Some people decide to skip a full-body hot tub soak entirely. That doesn’t mean you can’t enjoy a hot tub while pregnant though. You can still sit on the edge of the hot tub and enjoy time with your friends and family by dangling your feet into the water. Again, consult your doctor for more individualized directions. Is it safe for an infant or toddler to go in a very hot spa? No. Infants and toddlers can’t regulate their body temperature in the same way adults can. For that reason, infants and toddlers should not go in a very hot spa. Extremely limited time in a cooler hot tub might be ok, with the use of water wings or other flotation devices, and constant supervision from an adult. Consult with your pediatrician or family doctor. Is it safe for a child to go in a hot tub? Yes. In general, children can go in a hot tub for about five minutes at a time, depending on the temperature of the hot tub. If you keep your hot tub with warmer water temperatures, five minutes might be their maximum. If the hot tub is cooler, they might be able to handle up to 20 minutes with proper hydration and breaks. Again, if you are concerned, consult your child’s pediatrician. Also, children in a hot tub should always be supervised by an attentive adult. Is it safe to use a hot tub if I have a medical condition? This is a tricky one. Since there are so many different medical conditions, we recommend you discuss your specific health concerns with your doctor. And remember, in general, for most healthy adults, hot tubs improve health. They relieve sore muscles, reduce back pain, and improve sleep quality. Enjoyable features include lights, waterfalls, and the opportunity for unplugged family time.